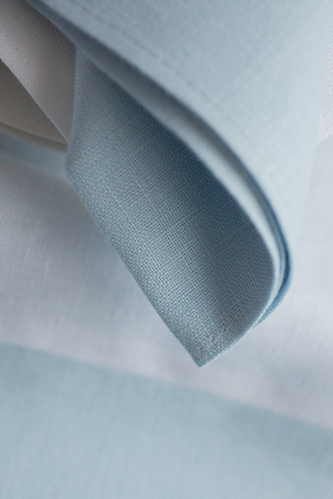 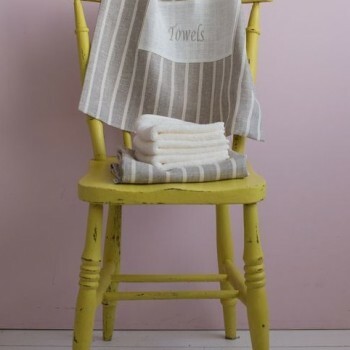 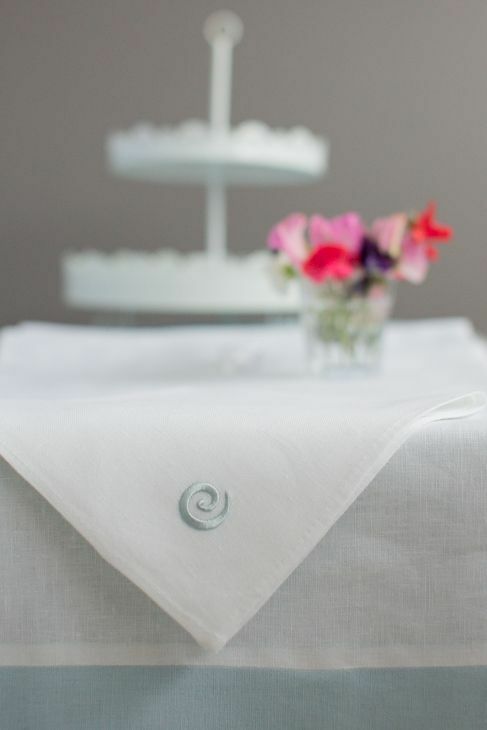 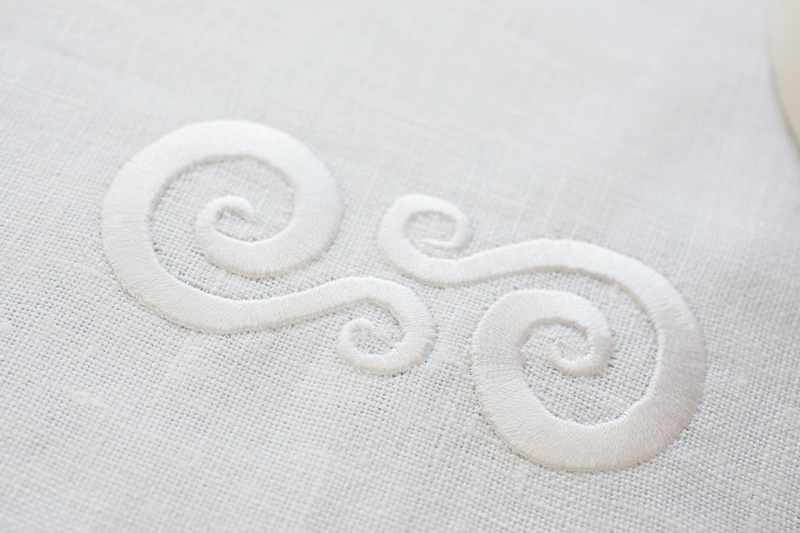 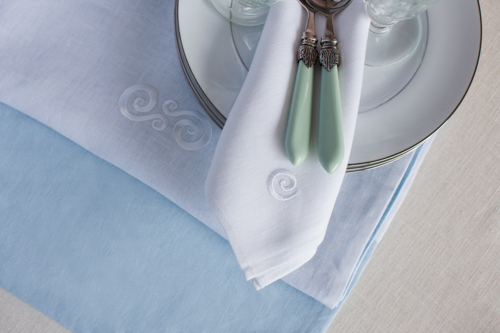 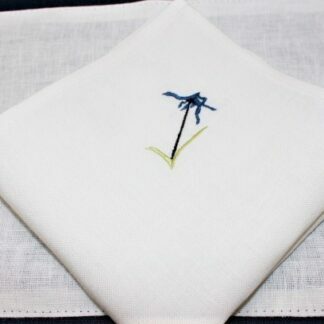 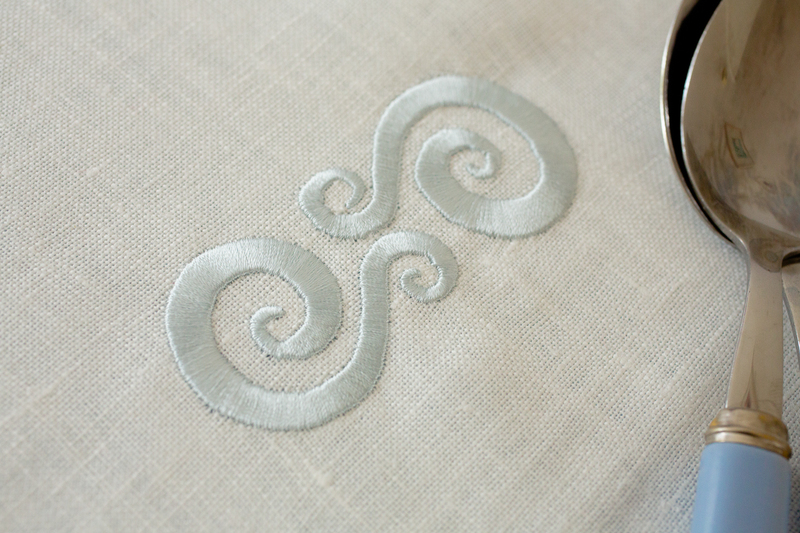 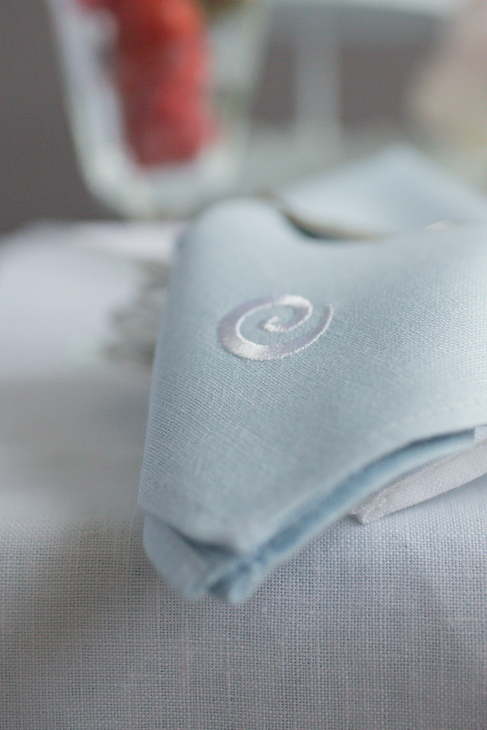 This wedding gift is lovely in Irish linen, in colours of duck egg blue and white. 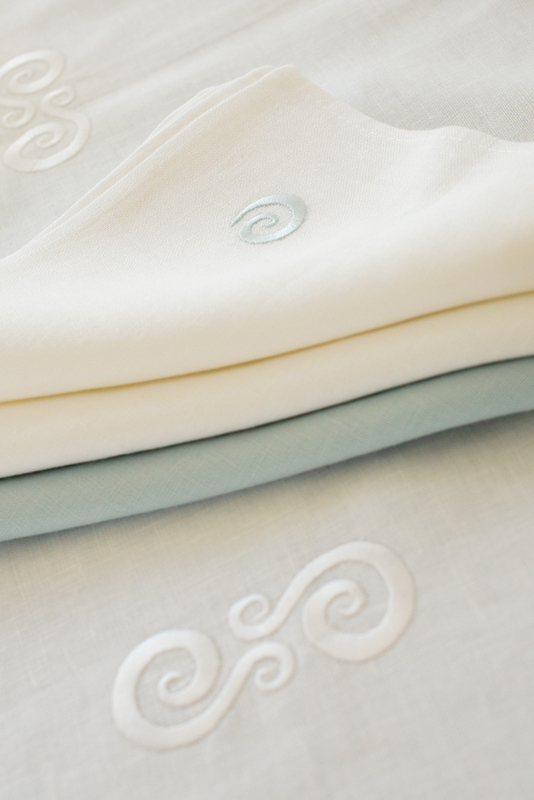 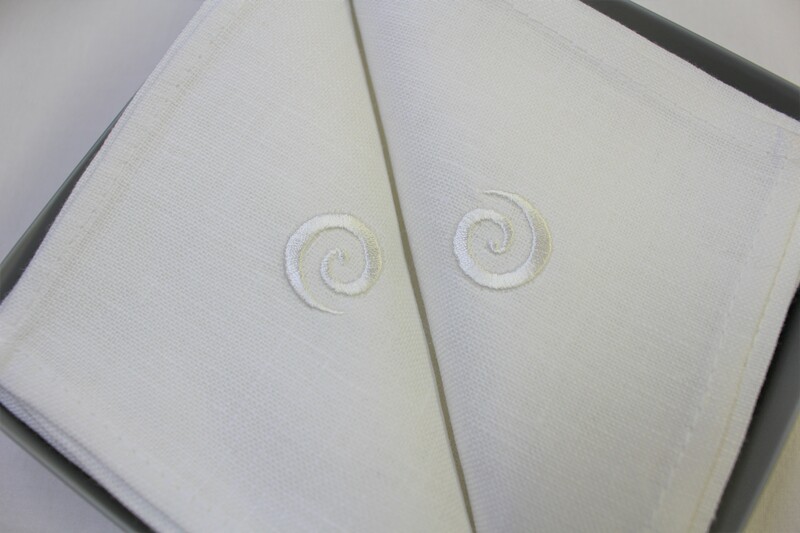 Handcrafted and embroidered with Newgrange circles in a choice of blue on white or white on white for the main runner. 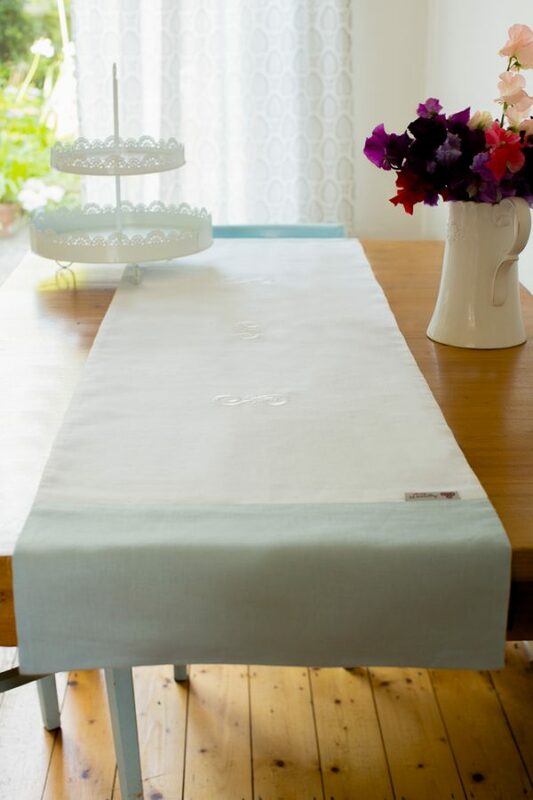 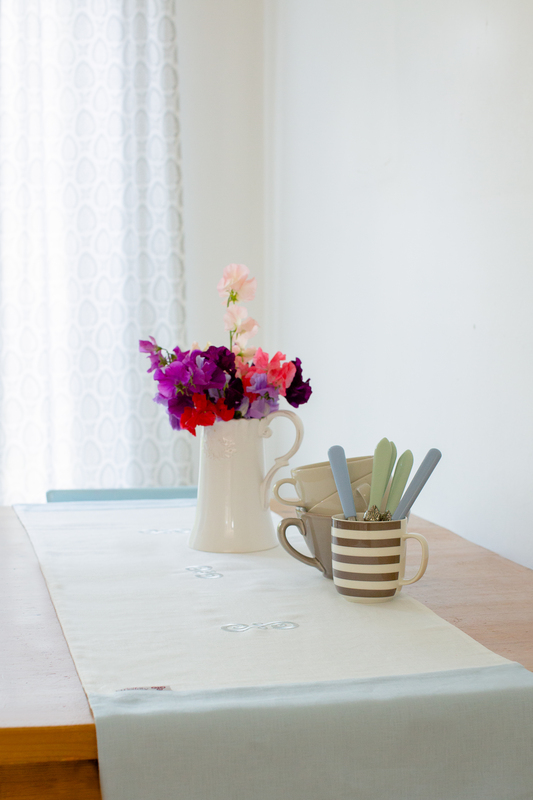 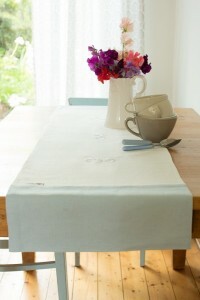 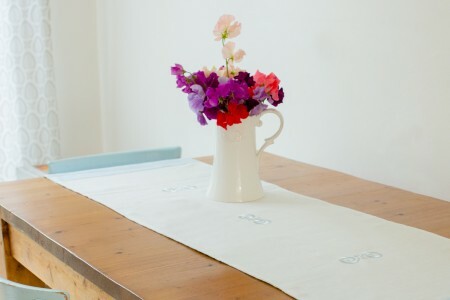 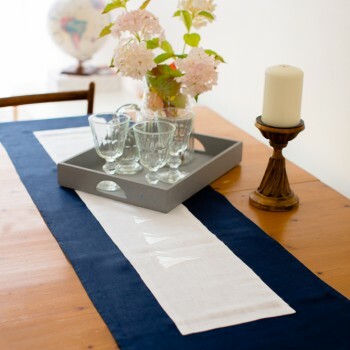 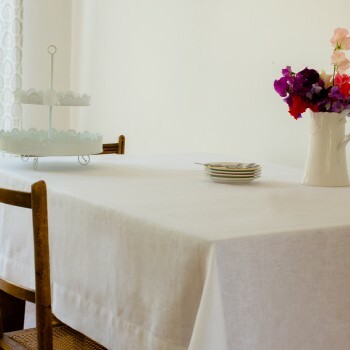 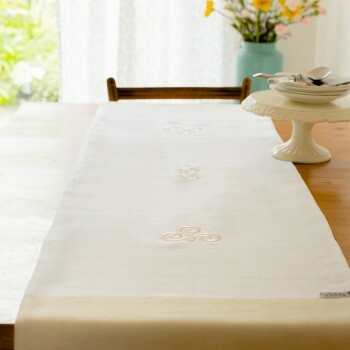 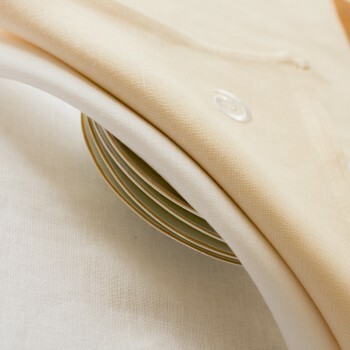 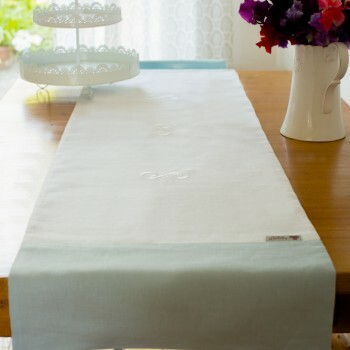 The runner is then backed with blue linen, double lining the runner so that it makes it reversible on your table.